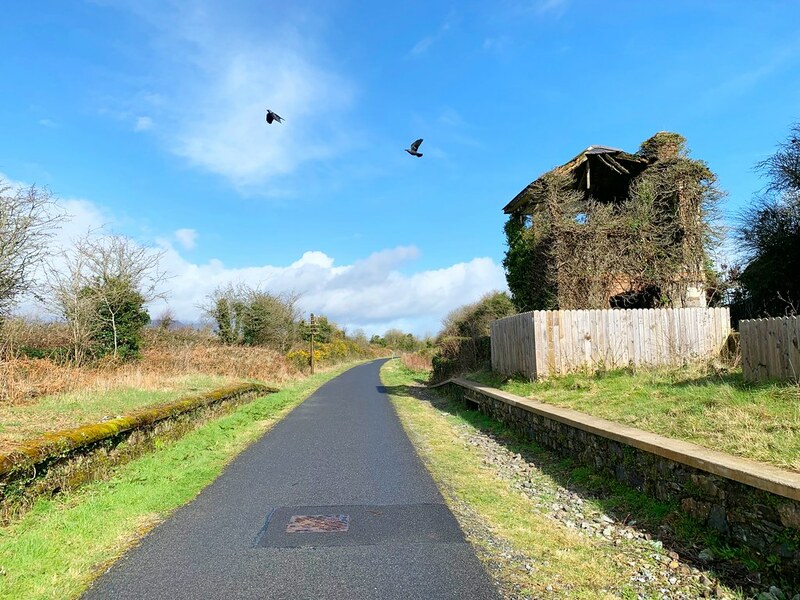 Opening in 2017, the Waterford Greenway is a 28-mile rails-to-trails project that runs from Waterford City to the coastal community of Dungarvan. It’s also a fantastic example of a reclamation project done right. Tracing the old train tracks that used to run through here, the Greenway takes visitors through rolling farmland, over bridges and viaducts and along the coast featuring incredible sea views. I spent the morning biking along the Greenway and not only do I want to share that experience, but I also want to share a few other sights close by that aren’t to be missed. It was still fairly early in the morning when I pulled up in front of Mahony’s Pub in Durrow, but I was there with a purpose. I was there to meet the Greenway Man, Garvan Cummins, who was my guide for the morning as I biked along a portion of the Waterford Greenway. Garvan was one of the earliest campaigners for the Greenway, and his volunteer work throughout the years is what helped make the trail a reality. An avid historian, walker and cyclist, Garvan also operates his small business, the Greenway Man bike hire, next to the pub, providing visitors with the conveyance needed to fully explore the Greenway. I couldn’t have had a better guide to show me around, and while we didn’t bike the entire trail, we did explore one of the most popular sections from Durrow to Dungarvan. Visitors can of course simply walk the trail, or rent a bike from Garvan, which they can then return either in Dungravan or back in Durrow. 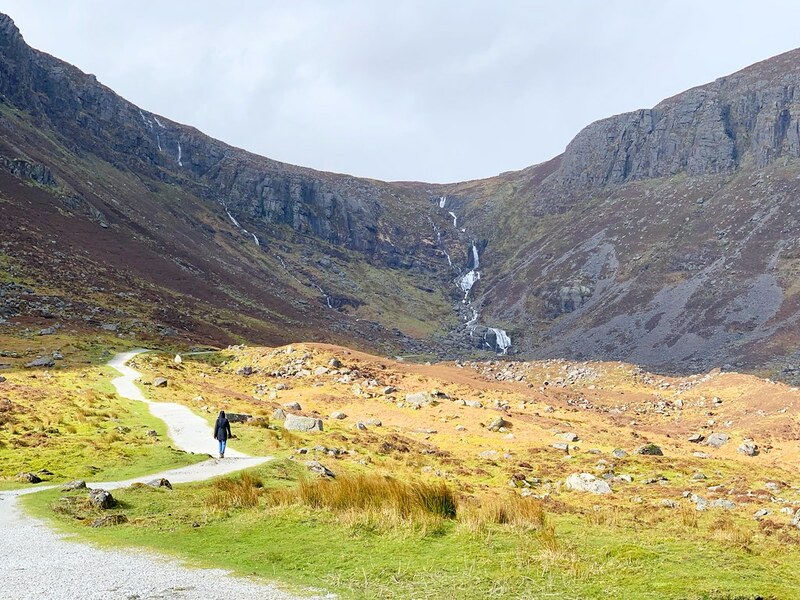 I interviewed Garvan on my podcast episode all about my trip to Ireland, which you can listen to here, and his insight helped me appreciate the trail in a way I never would have otherwise. Starting on a quiet bridge overlooking a babbling river, the drama of the landscape is what struck me right away. 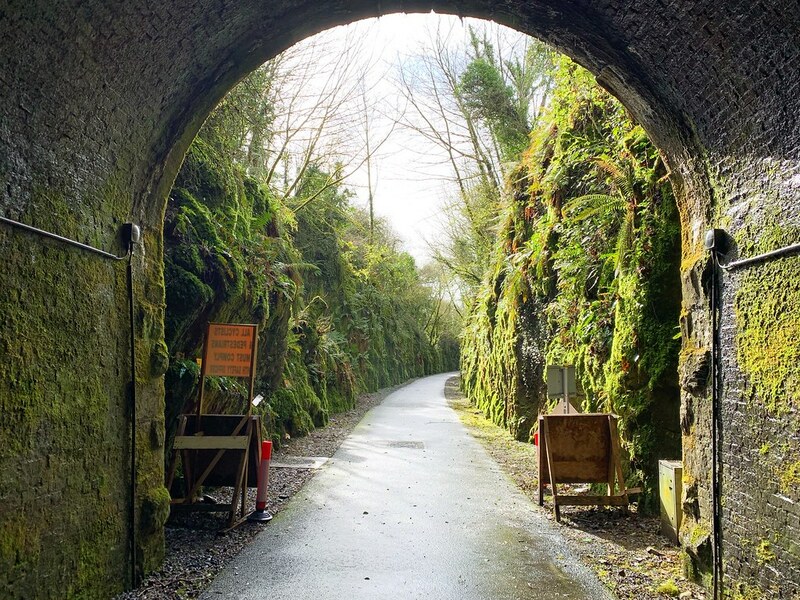 Many visitors to Ireland, especially my fellow Americans, have certain expectations from Ireland and this small section of the Waterford Greenway is exactly what we imagine the entire country to be like. It’s a snapshot for sure, but a beautiful one to explore. Food is always an important aspect of my trips, so it’s with no small amount of enthusiasm that I take part in more active experiences when I can, and a morning bike ride through the countryside was exactly what I needed. It wasn’t all rivers and baaing sheep though, this section of the Greenway also has some historical significance for the region as well. Flying past old railroad stations was a nice reminder that this trail was indeed once a very active rail line, connecting rural farms with city centers where they could sell their goods. We weren’t alone either. Even though it was a Tuesday morning in the middle of March, there were plenty of other folks out and about, enjoying the weather and getting in their exercise as well. I later learned that the Greenway has been insanely popular among locals and visitors alike. Within just a few months of opening, more than a quarter million people had been on the trail, an impressive number by any estimation. Through old tunnels and over bridges, once we had reached a particularly picturesque viaduct we stopped for a few moments so that Garvan could share with me just one example of the many historical events that had taken place here. During the Civil War, the old viaduct had been blown up and the entire region had seen a lot of action during those turbulent times. Personally, I don’t think enough tourists take the time to learn and appreciate the intricacies of Irish history. It’s long, it’s complicated, it’s usually sad but it’s always interesting and knowing just a few of the basic facts will enhance your own adventures in ways that are surprising. 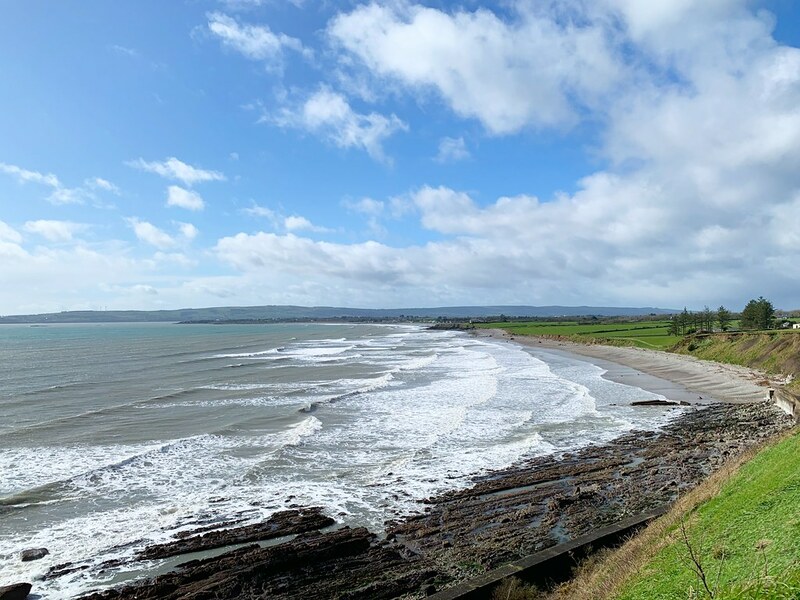 The highlight for me though, as it is for most cyclists along this section of the Greenway, was the coastal route that features incredible sea views as we rode into the city of Dungarvan. It was stunning, as are so many beaches and coastal scenes in Ireland, but this one was different from some others I have visited around the country – it was quiet. No one else was there and I felt like I had the entire place to myself because, well, I did. It was one of those special travel moments that are entirely unpredictable, but quickly become the highlight of any great adventure. Like so many other folks who rent bikes from Garvan, we ended our day in Dungarvan, a colorful city that I wish I had more time to explore. Also like many of his guests, we also spent some time chatting in a local pub, just one of many in the city and the perfect reward for a job well done. Today’s tourists are more active than ever, a trend I personally love to see. In Ireland those efforts are always well-rewarded thanks mostly to the country’s inherent natural beauty, but also because of the kind people you’ll meet along the way. If you’re visiting County Waterford though, there are a few other stops to include in addition to the Greenway. Although you’ll need a car for most of these, they’re close to the Greenway and are, I think, a perfect way to round out a day or two in County Waterford. I regret not having more time to explore this colorful city along the coast but, if anything, it’s another excuse for me to return to the sunny Southeast of Ireland. 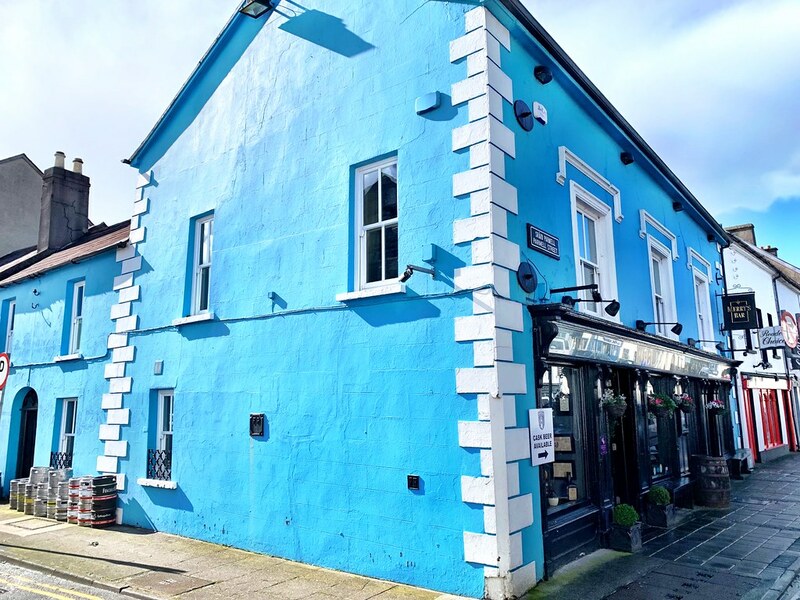 The second largest city in the county, behind Waterford itself, Dungarvan has a lot to offer for the casual visitor whether they are biking the Greenway or not. What struck me right away was just how lively the city is. The downtown was bustling with people; shops, pubs and restaurants are everywhere and it was just a nice place to be. Sometimes in the travel experience that’s enough, and it made me want to spend much more time in the city. 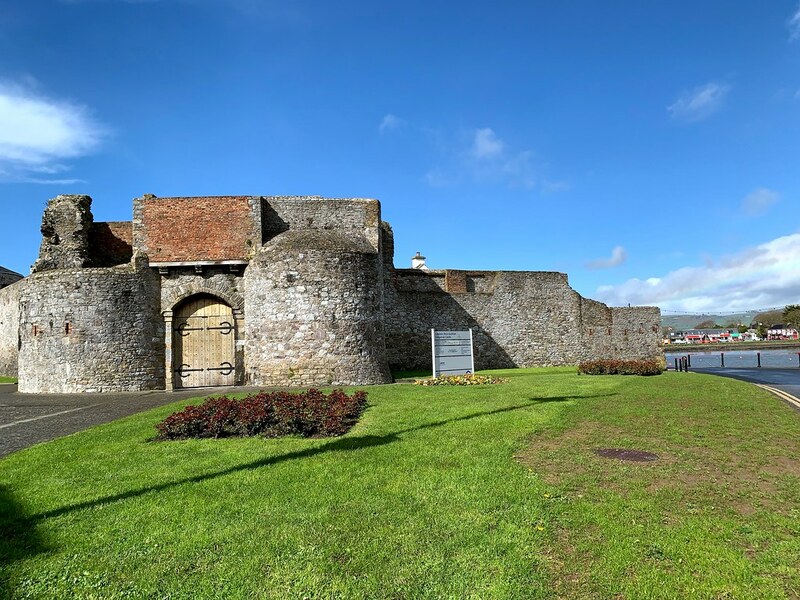 There’s also an old 12th century castle that people can visit, as well as a heritage center and the Waterford County Museum. The food scene here has also been flourishing in recent years offering a variety of local favorites as well as more eclectic bites. I was running a little behind schedule and I almost skipped visiting these scenic falls in the nearby mountains, but I’m thankful I decided to drive up to explore them properly. Driving up the winding road to the park, I was shocked at just how quickly the landscape changed. Almost in an instant the brilliant shades of green were replaced by a more mountainous terrain, with the only residents fluffy sheep that didn’t seem to mind the light rain. The falls are in the Comeragh Mountains in County Waterford, and their dramatic beauty is something I really didn’t expect. The walk to and from them from the car park is about 15 minutes each way and is a nice diversion and a great way to see a different side to the region. This 18th-century estate and mansion is worth a visit in its own right, but it’s the massive gardens that attract thousands of people every year. 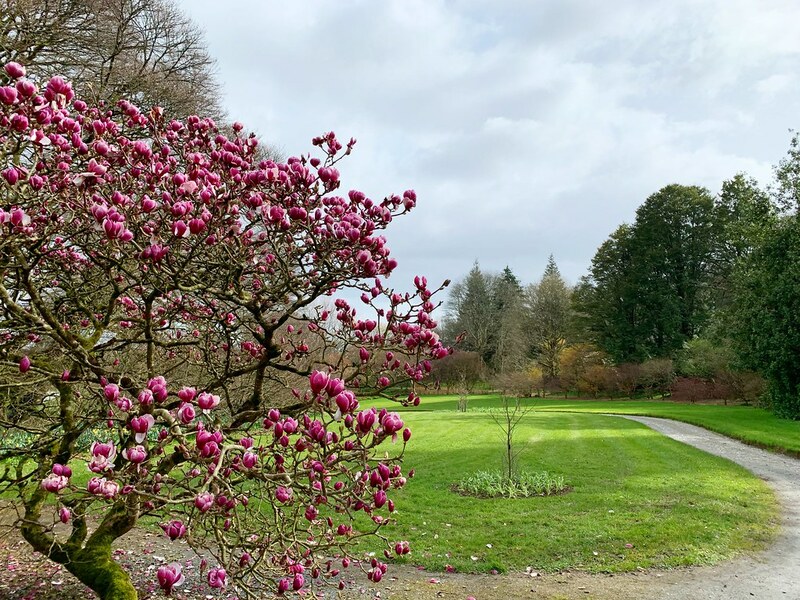 The elaborate gardens cover more than 70 acres of meticulously and intensively planted woodlands and include more than 3,000 different kinds of trees and shrubs, along with several more thousand kinds of flowers. It was the passion project of the last owner of the estate, Ambrose Congreve, who spent a lifetime creating this masterpiece. Strolling along the woodland trails with the head gardener, I quickly understood why Mount Congreve is one of the County’s star attractions. Another manor house not to be missed is Curraghmore House, which has a history in the region that dates back to the 12th century and is the seat of the Marquess of Waterford. The current owner still lives on the estate, which opens its doors to visitors seasonally and is truly like walking onto the set of Downton Abbey. I love visiting these historic homes, not just for the beautiful art and architecture contained within, but because of the stories they tell. No two are alike, and Curraghmore House is certainly one of the most interesting I’ve visited so far. My time spent exploring County Waterford was as much fun as I’ve had in a long time. 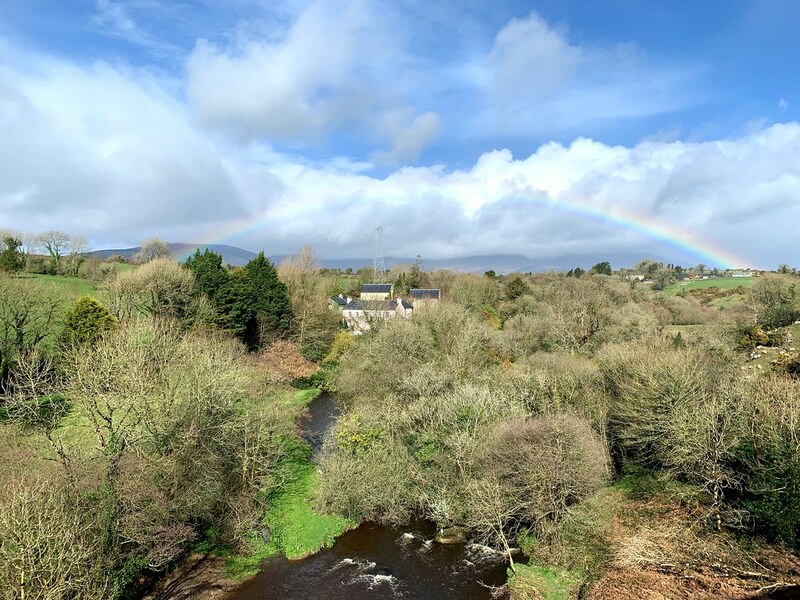 From Waterford City itself, to active outdoor pursuits to the history found everywhere, this is one of those destinations that honestly does have a little something for everyone. It’s also still flying under the radar for most tourists, guaranteeing a trip that is a little more relaxed and low key than in some other parts of the country. If you haven’t thought about visiting before, I can’t recommend enough adding a few days exploring Ireland’s Sunny Southeast.